The Hollies Luxury Gold Award 5* Forest Lodges. Marketing Cheshire's Self Catering Holiday Provider of the Year 2018. The Hollies Forest Log Cabins are Cheshire’s finest five star self-catering holiday accommodation. Set in a forest in the Cheshire countryside, our forest lodges offer 5* self-catering accommodation for that special family holiday, romantic getaway, or catch up with friends. 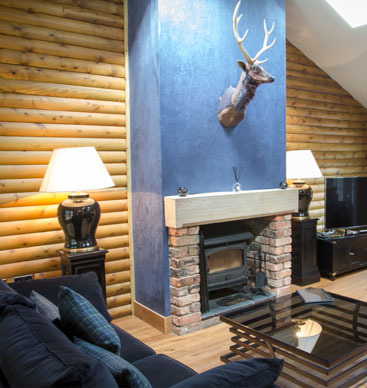 Each of our forest log cabins provides superb facilities, so you can relax and enjoy a luxurious break. Nestled in the heart of a mature pine forest, The Hollies luxury log cabins offer the perfect setting for your family self-catering holidays, romantic getaways, social events and more in Cheshire’s glorious countryside. Exquisitely furnished, our lodges sleep up to six guests in absolute comfort; you will find everything you need to relax, indulge in delicious food and drink, and make wonderful memories, all while enjoying the freedom and flexibility that comes from choosing our luxury self-catering breaks. 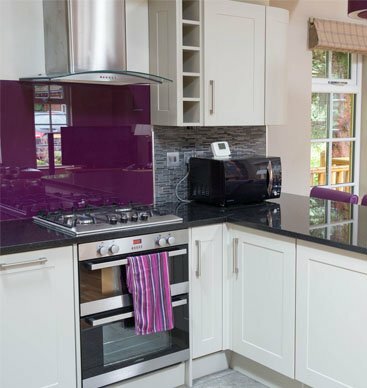 Each one of our Cheshire lodges is fully equipped for your stay; in the kitchen you will find all the comforts of home, from crockery to cutlery, and tea towels to wine glasses. Bedding and towels are provided, and you will also find a dishwasher and washing machine for your convenience. 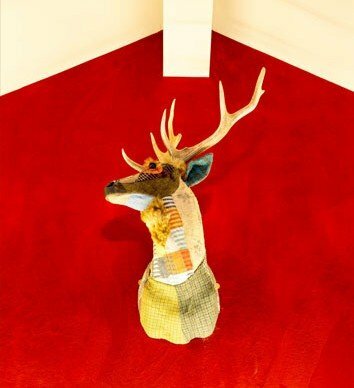 All of our forest log cabins are designed with relaxation and comfort in mind, and each is equipped with a wood burning stove and private hot tub which you are free to enjoy at your leisure. Your stay in our luxury lodges in Cheshire can be as action-packed and active or as peaceful and relaxing as you like; with such excellent amenities, you need not leave the site if you prefer. There’s lots to see and do at The Hollies; nearby, you can visit attractions such as Chester Zoo, Go Ape and Delamere Forest, and on site, we have a beautifully stocked Farm Shop, boasting a Butchery and Delicatessen. The Hollies Farm Shops are the perfect place to stock up on farm-fresh, local produce to cook up in your lodge, as well as tempting treats and sumptuous snacks to see you through the day. You are welcome to indulge yourself at our famous Cheshire Coffee Shop. Here, you will discover a selection of sandwiches, soups, snacks, and hot meals, as well as hot drinks and cakes, with service available throughout the day. We also serve a selection of beers, wines, and champagnes. The Hollies Forest Lodges present a delightfully rural yet central location for your self-catering family holidays, with plenty of local attractions to keep the kids occupied. If nature is your thing, then the whole family can enjoy the sights and sounds of Delamere Forest, which is also home to the popular Go Ape Tree Top Course. Only a stone’s throw away, this woodland oasis is the largest in the county, and is the perfect place to let off some steam during your forest holidays in the UK. We are also lucky to have one of the most popular days out in Cheshire right on our doorstep – Chester Zoo. As it’s so close to us, we can provide you with specially discounted fast-track tickets which are available as part of our Chester Zoo Family Package alongside your accommodation. Ticket prices at Chester Zoo vary through the year, so we would recommend getting in touch with us to plan your visit, or add it as a request when booking our luxury log cabins for your self-catering family holidays. 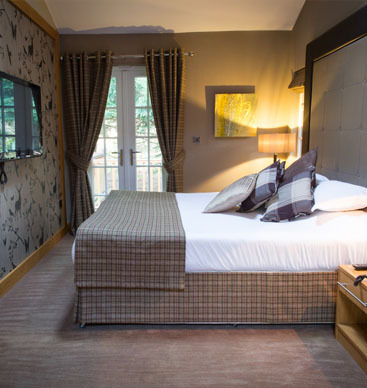 There’s nothing more relaxing and restorative than a luxurious stay in one of our lodges, where you can enjoy an intimate, romantic getaway in Cheshire with your better half. 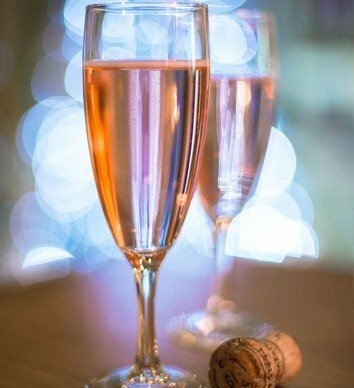 With a high emphasis on providing you both with a relaxing, luxury experience, you can create your perfect couples’ break with a selection of additional packages including champagne on ice, bouquet and chocolates, indulgent food hampers, and logs and sticks for a crackling fire. Our luxury lodges UK based in the Midlands, with private hot tubs are popular for couples celebrating a special date, as well as those looking to simply treat themselves to a revitalising short break. What could be more romantic than enjoying good food and drink together, followed by a dip in your own private hot tub, before relaxing in front of a crackling log fire? The Hollies Forest Lodges present so much more than your standard hot tub holidays – plan your romantic escapes with us, and indulge yourselves at The Hollies. The Hollies luxury log cabins make an inspired choice for your business trips and meetings. Not only can you and your team work without the limitations of a conventional hotel setting, but you can do so in total comfort within an impressive forest lodge location. A relaxed and informal atmosphere allows the creativity to flow, and we can even supply you with flip charts, pens, paper, and other board room essentials. As well as being an innovative business venue for your meetings, we are also perfectly placed to accommodate your team building days in Cheshire. 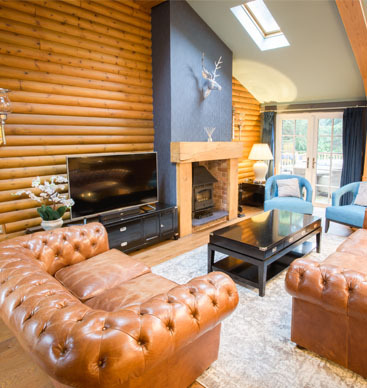 Nearby attractions include the Go Ape Tree Top Course at Delamere Forest, Oulton Park Race Circuit, a choice of golf courses, and more; once the day is over, your team can relax in comfort in our luxury log cabins.